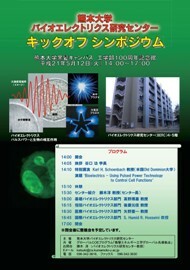 Bioelectrics Research Center (BERC) was officially established in October 2007 in Kumamoto University. 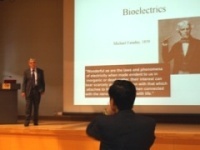 Since then we have been working on the bioelectrics research and education. 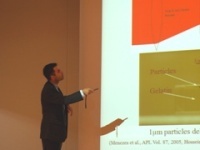 Last year, two professors joined us and we set up new laboratories. We took this opportunity to hold a kick-off symposium to confirm our future direction and show our achievement to people both inside and outside of the university. 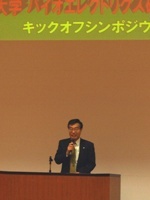 The University President Isao Taniguchi made remarks on opening the symposium. 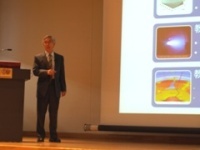 President Taniguchi is very interested in bioelectrics because he has been engaged in bioelectrochemistry research. 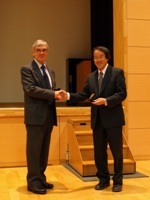 He expects further progress of the BERC and encourages development of the bioelectrics research. 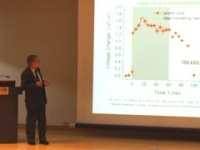 Prof. Karl H. Schoenbach from the Frank Reidy Research Center for Bioelectrics, Old Dominion University gave a special lecture titled "Bioelectrics - Using Pulsed Power Technology to Control Cell Functions". After the lecture, the participants discussed lively and exchanged their opinions. 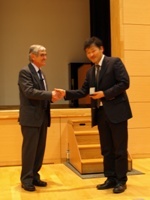 Medals were presented by Prof. Schoenbach to President Taniguchi, Prof. Hidenori Akiyama, the former director, and Director Sunao Katsuki for their achievements in the field of bioelectrics. 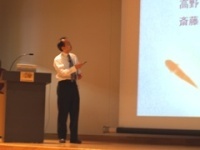 After the break, Director Katsuki presented a outline of the BERC. 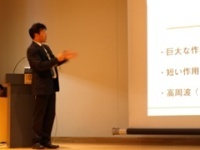 The members, research and facilities in BERC were introduced. 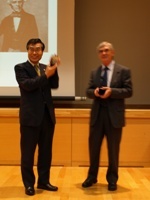 The Divisions in BERC were introduced by professors. 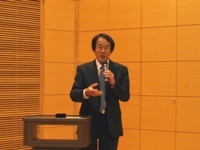 Prof. Akiyama made closing remarks. 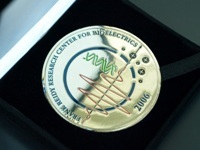 The future directions of the BERC and the possibilities of bioelectrics research were suggested. 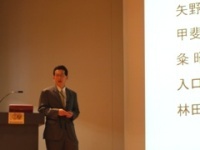 Prof. Akiyama encouraged reseachers and students to get into the bioelectrics field and play a leading role in the research worldwide.